SOUTHERN UTAH — Got shelving? At last, there is a local company that can help you organize your garage and get rid of all the clutter. Yes, it’s true, Marv Miller with Standard Tool and Equipment Company LLC of St. George offers limitless sizes, colors and configurations of shelving to fit anyone needs. 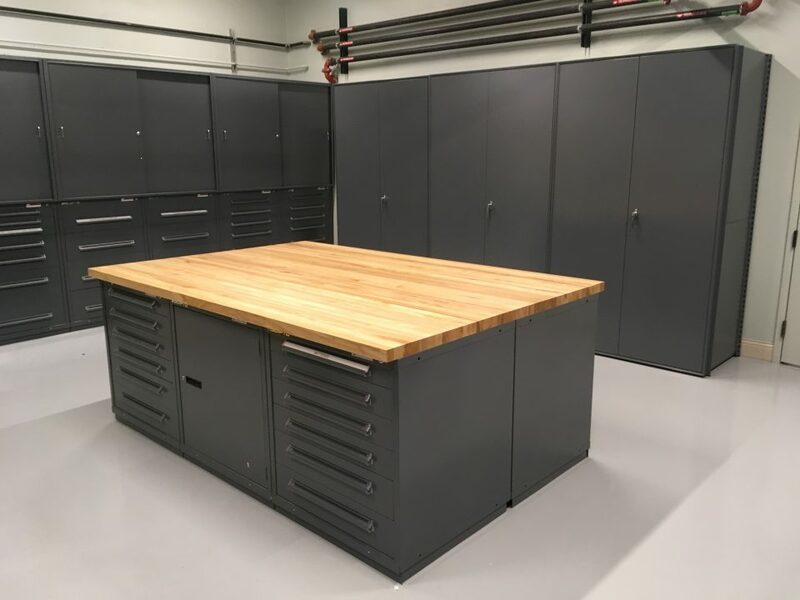 Miller has over 20 years in the storage shelving business and can transform your garage into something that will be functional, practical, very user friendly and fall with your budget. Wide span adjustable shelving for bulky items and large totes. Smaller adjustable shelving for smaller and shallow items (can be outfitted with drawers, bins, dividers and doors). Workbenches for the Mr. or Mrs. who need a practical place to store tools and work on their hobbies. Storage Cabinets with adjustable shelves and doors. Lockers for wardrobe items, hunting, fishing or camping clothing and boots or just his or her lockers for coats and the like. Golf Equipment Cabinets complete with bins, drawers and dividers to store shoes, balls, towels and finally your clubs and bags. Tool Boxes for the serious or novice, we have something that will fit any need. With each offering you can assure decades of use because they only use durable STEEL products with tough powder coat baked on paint finishes. All of their products carry lifetime warranties against manufacture defects and they offer full installation services. Visit their website to see some current product offerings.